September | 2008 | CCIE, the beginning! After HSRP and VRRP it is time to discover GLBP, my favorite because unlike the others, GLBP is a native First hop/gateway load balancer. – Assign a virtual MAC ( vMAC) address for itself and for each member of the group. – Respond to ARP requests from clients with vMAC of other group member, the method used for selecting vMAC determine the load balancing algorithm. 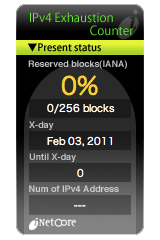 – Standby AVG: The router with the highest priority among those remaining will be elected the standby AVG and will take the place of the active AVG if it is down. – Each AVF is active and responsible for forwarding traffic destined to its vMAC. – Each AVF listens to others, if one AVF can no more forward traffic, all listening AVF will compete to take the responsibility of the failed AVF vMAC along with its own (AVF with higher weighting wins). – Holdtime: Used to monitor the presence of a group member If for the holdtime for a particular member expires, the owner of the timer can consider that member unavailable and send its hello packet to participate to the election of who will be responsible for its vMAC. – Redirect timer: if expires the AVG will no more consider the vMAC of the failed AVF, even if there is still an AVF forwarding traffic destined to that vMAC. – Secondary holdtimer :if this one expires all AVF will drop that vMAC and no one will be responsible for it. Tracking: can be configured to monitor interface conditions like line-protocol and ip routing, if a tracked interface fails to maintain the configured condition the weighting will be reduced by a configured penality, and if the weight is below the lower threshold the routers stop being AVF. Whether it is an AVG or AVF, after recover from failure, the router is capable to claim back its status after a configured time period. GLBP group member use the multicast address 224.0.0.102 udp 3222 to communicate between each others. Round-Robin: the default LB algorithm, the AVG will alternate available vMAC in ARP reply messages. Weighted: the weight of each AVF is an indicator of the percentage of clients that will use its vMAC. Host-dependent: each client will always have the same vMAC. All efforts of GLBP (also HSRP and VRRP by the way) are concentrated to provide redundancy and load balancing upstream from clients to the gateways, you have to take into consideration that the return or downstream traffic is asymmetric and will depend on the routing protocol decision, and this can create some issues with CAM table aging on multilayer switches used as gateways, therefore it is recommended to match CAM table MAC aging with ARP timeout. For optimal utilization of GLBP, it is recommended to match GLBP client-cache timeout with ARP timeout. Figure 1 illustrates the lab topology used with R4 a multilayer switch configured with an upstream interface Fa0/0 as routed interface (tracked by GLBP) and an SVI (switch virtual interface) VLAN10 configured for GLBP. The same interface is tracked in all routers R2, R3 and R4. R2 is the standby AVG with priority=100, the active AVG is R3 with a priority=200. R2, R3 and R4 AVFs are in listening state because they are all ready to take care of each other virtual MAC in case one AVF is down and the priority is givne to the AVF with the highest weight first. this information is confirmed in all routers R3 and R4. Note: generally the first ping after a clear ARP table will cause the first ICMP message to fail, this corresponds to the ARP operations to learn the MAC of the destination IP. At this point se stop the active AVG R3. 10.20.20.1 (R4) is now honoring the memory of the defunct R3 🙂 by forwarding all traffic destined to R3 vitual MAC (0007.b400.0a01). R4 became the standby AVG for the new active AVG R2. And during this time R33 still pointing toward R3 virtual MAC, but traffic is forwarded through R2. And the result is that vMAC of R3 still used by the AVG to respond to ARP requests. As soon as R3 is back to business, it took over the active AVG state using its highest priority 200. After the new requests, R33 has received R3 vMAC and now traffic destined to 0007.b400.0a01 (R3 vMAC) is forwarded by R3 itself. Still uses R4 vMAC but traffic is forwarded through R3. – the Active AVF for its vMAC 0007.b400.0a03. – Listenning AVF for R3 vMAC 0007.b400.0a01 and R4 vMAC 0007.b400.0a02. – the Active AVF for its vMAC 0007.b400.0a01. – Listenning AVF for R2 vMAC 0007.b400.0a03 and R4 vMAC 0007.b400.0a02. – the Active AVF for its vMAC 0007.b400.0a02. – Listenning AVF for R2 vMAC 0007.b400.0a03 and R3 vMAC 0007.b400.0a01. Note that R4 has a weight of 30 and in penality of -30 if the tracked interface line-protocol is down, also note the lower threshold of 1 under which the router will not even be the AVF for its own vMAC. The initial weight of 30 is decremented by 30, therefore with a priority of 0 lower that the lower threshold of 1, R4 glbp status change from active AVF for its own vMAC to listenning AVF. traffic send by R33 to the gateway virtual IP 10.20.20.1 with the virtual MAC 0007.b400.0a02 (R4) is forwarded by R3. 30 seconds (the default AVF preempt time) after R4 interface is back to live, the weight is incremented by 30 and the router can take back its AVF status for its vMAC.